Munich, 26.10.2018 | Zalando is cur­rently test­ing how robot­ics can be used intel­li­gently in logis­tics. At the end of Feb­ru­ary 2018, Zalando acquired shares in startup Mag­a­zino, which devel­ops robots for intral­o­gis­tics. Two robots devel­oped by Mag­a­zino under the name “TORU” have been under­go­ing prac­ti­cal test­ing at Zalando in Erfurt for sev­eral weeks now: Until May, the robots will be inte­grated into the processes and pro­vide sup­port in the areas of “Stow”, i.e. stor­age, and “Pick”, i.e. order pick­ing. 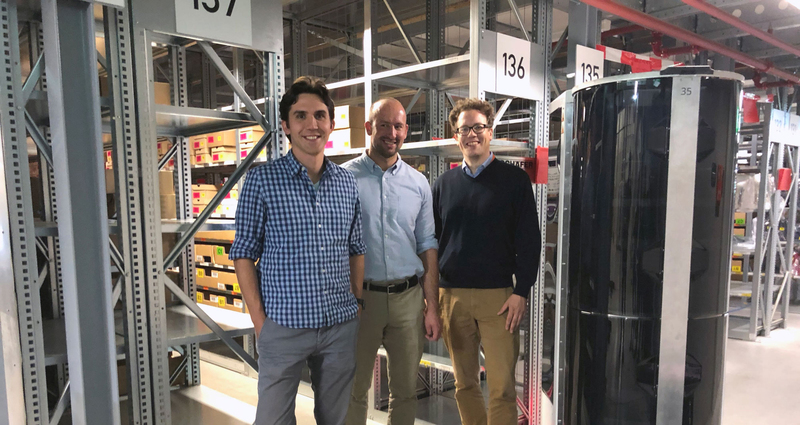 What’s spe­cial: In con­trast to other automa­tion tech­nolo­gies, where only entire load car­ri­ers such as pal­lets or crates can be moved, the TORU robots have intel­li­gent cam­era tech­nol­ogy and can thus rec­og­nize, pick and trans­port indi­vid­ual objects. They thus fit into the chaotic ware­hous­ing sys­tem used in Zalando’s logis­tics cen­tres. 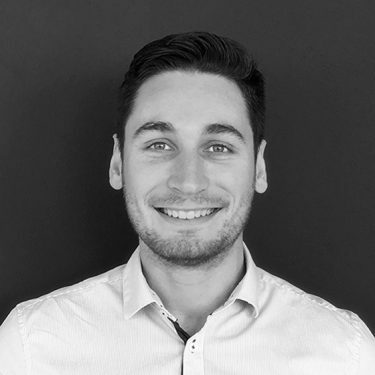 Carl-Friedrich zu Knyphausen, Head of Logis­tics Devel­op­ment at Zalando, is respon­si­ble for the fur­ther devel­op­ment of intral­o­gis­tics and accom­pa­nied the TORU robots in their first steps. He tells us more about the pos­si­bil­i­ties and chal­lenges of using the new tech­nol­ogy. Carl-Friedrich, what are the advan­tages of the TORU robot and what does Zalando use it for? CFK: TORU is an autonomous robot that per­ceives its envi­ron­ment through the built-in cam­eras, can ori­ent itself and work next to humans. We are cur­rently test­ing how we can use it as an autonomous pick­ing robot, i.e. in stow and pick, inte­grate it into our exist­ing processes and sup­port our employ­ees. The idea is that it relieves logis­tics employ­ees of uner­gonomic activ­i­ties such as bend­ing down and stretch­ing far up when pick­ing prod­ucts from the high­est or low­est shelf lev­els. How­ever, TORU is cur­rently only able to pick car­tons, usu­ally shoes. 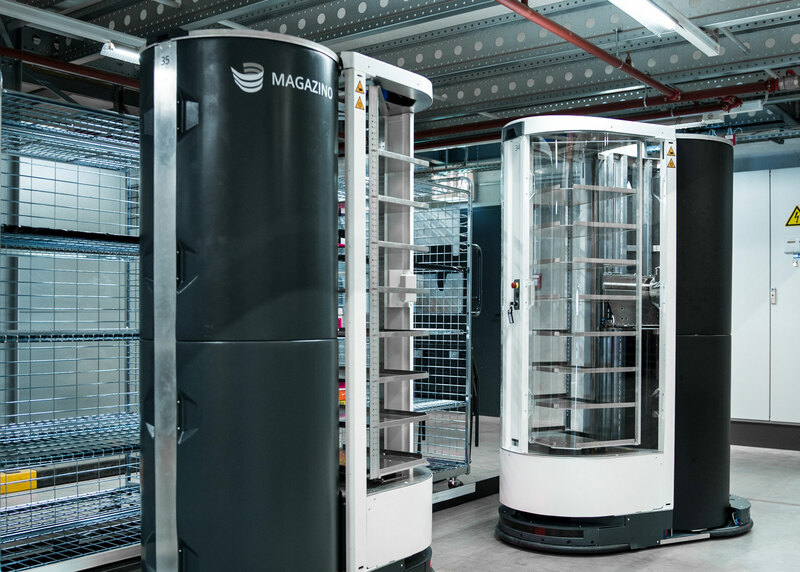 How­ever, we are still in test oper­a­tion, which means that the major­ity of test orders are placed with Mag­a­zino robots. Yet the robots have already processed the first cus­tomer orders. When a robot receives an order, it designs the best route with its own nav­i­ga­tion sys­tem. Together with Mag­a­zino, we are work­ing to make TORU bet­ter and faster. How does the robot inter­act with humans? CFK: The robot sees when a human wants to cross its path and waits accord­ingly before con­tin­u­ing with its task. So TORU dri­ves to the shelves in the pick­ing area and processes its pick­ing list, just like the employee does. 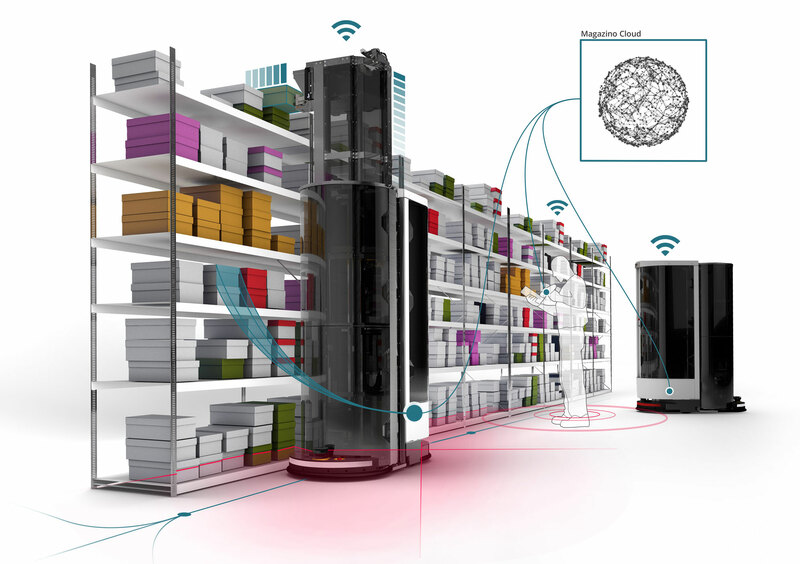 With inte­grated cam­eras and scan­ners, TORU iden­ti­fies and locates the right items on the shelf, takes them off the shelf with its suc­tion pad, stows them in its back­pack and then dri­ves to the trans­fer sta­tion to put them away. How does the Mag­a­zino robot test fit into the Zalan­dos logis­tics strat­egy? CFK: Since the con­struc­tion of our first logis­tics cen­tre in Erfurt in 2012, we have been invest­ing in automa­tion. Even dur­ing the devel­op­ment of our con­veyor tech­nol­ogy, the focus was on the tech­nol­ogy bring­ing the prod­ucts to our employ­ees, thus sav­ing them walk­ing dis­tances and reliev­ing them. Another exam­ple is our bag sorters in Mönchenglad­bach and Lahr, which relieve our col­leagues of uner­gonomic move­ments. The prospects for TORU could be sim­i­lar, but this will take some time. Invest­ing in automa­tion and test­ing robotic solu­tions is there­fore the next log­i­cal step for Zalando and our logis­tics strat­egy. What can we expect from logis­tics automa­tion in the future? CFK: We will con­tinue to test dif­fer­ent tech­nolo­gies until we have found exactly the right solu­tion for us, as we did for the bag sorters Lahr and Mönchenglad­bach. Zalando wants to fur­ther pro­mote the use of tech­nol­ogy in logis­tics and advance the indus­try in this respect. The exchange with our part­ners and col­leagues in the indus­try is very impor­tant for this. On Thurs­day, 25 Octo­ber, we met at our logis­tics cen­tre in Erfurt at the Mag­a­zino expert panel with over 40 rep­re­sen­ta­tives of suc­cess­ful e-com­merce com­pa­nies and logis­tics ser­vice providers and dis­cussed the use of new tech­nolo­gies. A key ques­tion in the var­i­ous work­shops was how machines can sup­port peo­ple in the future. I can imag­ine that tech­nol­ogy will increas­ingly be used to help man­ual processes in the future as well, since fac­tors such as increas­ing demands on ergonom­ics and occu­pa­tional health and safety will drive their use. Zalando is Europe’s lead­ing online plat­form for fash­ion and lifestyle. We offer our cus­tomers a com­pre­hen­sive selec­tion of cloth­ing, shoes, cos­met­ics and acces­sories for women, men and chil­dren free of charge and return ship­ping. The assort­ment ranges from almost 2,000 world-famous brands to local and fast-fash­ion brands and self-designed pri­vate labels. The Zalando shops are locally tai­lored to the needs of cus­tomers in 17 dif­fer­ent Euro­pean mar­kets: Aus­tria, Bel­gium, the Czech Repub­lic, Den­mark, Fin­land, France, Ger­many, Ire­land, Italy, Lux­em­bourg, the Nether­lands, Nor­way, Poland, Spain, Swe­den, Switzer­land and the United King­dom. Zalando’s logis­tics net­work with five cen­tral logis­tics cen­tres enables effi­cient deliv­ery to all cus­tomers through­out Europe, sup­ported by loca­tions in North­ern Italy, France and Swe­den focused on local cus­tomer needs. We are con­vinced that the triad of fash­ion, tech­nol­ogy and logis­tics offers added value to our cus­tomers and brand part­ners.